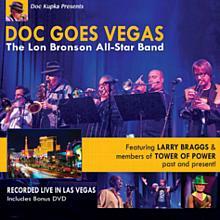 Second Opinion - DoctorfunK has been added successfully to your wishlist. The wait is over. 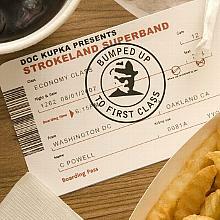 Strokeland fans loved DoctorfunK's original release, PRESCRIPTION FOR SOUL, and have been clamoring for more from Seattle's premiere funk band. It's time to crank it up loud again with DoctorfunK's newest release, SECOND OPINION. Produced by Jeff Tamelier, former guitarist for Tower of Power, Jefferson Starship, Cold Blood, and more, this new release is full of the same "East Bay grease" that DoctorfunK fans have come to love. The tracks were recorded at The Track Shack Studios in Sacramento and beautifully engineered by Peter DeLeon. A killer five-piece horn section playing sophisticated horn arrangements and a driving rhythm section set the stage, and the band delivers with the funk. 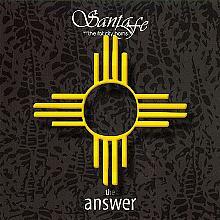 All but one of the CD's tracks are written by the band. "What's Up Doc? 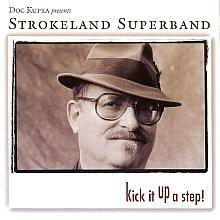 ", an homage to Tower of Power co-founder and Strokeland Records president, Stephen 'Doc' Kupka, delivers a smoking groove with commentary by the Funky Doctor himself, providing a rare opportunity to hear Doc's vocals on record. The album's final track, "Back in Black" delivers a blistering remake of the AC/DC classic, but with a heavy funk attitude. A fine second release that will likely provide the funk injection that DoctorfunK fans have been needing. Check it out. There are currently no reviews for Second Opinion - DoctorfunK, but you can be the first!